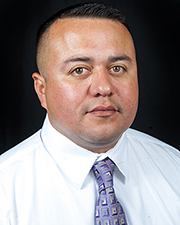 Michael Duarte is the Fresno Housing Authority’s senior development manager and is responsible for all multi-family housing real estate transactions. Since joining the Fresno Housing Authority in January 2007, Duarte has been instrumental in developing a total of (11) Low Income Housing Tax Credit (LIHTC). In 2013, the Fresno Housing Authority has received six 9% Low Income Housing Tax Credit awards totaling $78 million dollars of state and federal tax credits. Duarte has experience working with the U.S. Department of Housing and Urban Development (HUD) demo and disposition application process, low-income public housing mixed-finance, project-based Section 8, HOPE VI, McKinney-Vento Supportive Housing Program, HOME Program, American Recovery and Reinvestment Act, Capital Fund Recovery Grant and Competition funding, Federal Home Loan Bank of San Francisco Affordable Housing Program, Neighborhood Stabilization Program, Mental Health Services Act program funding, Multifamily Housing Program administered by the State of California and both 4% and 9% LIHTC programs. He has worked on projects targeting rehabilitation and creation of public housing, senior housing, family housing and permanent supportive housing for the homeless. Duarte has been a leader at the Fresno Housing Authority working with HUD’s new Rental Assistance Demonstration (RAD). The Fresno Housing Authority has received authorization from HUD to convert approximately 25% of its portfolio, or 450 units, under the RAD program. Duarte is a lifelong resident of Fresno County. 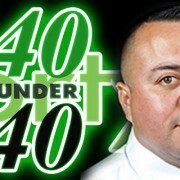 He earned his bachelor in science degree in business administration –finance from California State University, Fresno. Michael and his wife, Ashley, have a 4-year-old son, Elijah and 2-year-old daughter, Hannah. Duarte’s dedication and leadership as senior development manager significantly contributes to the mission of the Fresno Housing Authority; to create and sustain vibrant communities throughout Fresno County.